HSC Swimmers can access the below database to view their times and results from galas and open meets. For more information on how to use Hy-Tek online please click here . HSC Swimmers can use the attached link which takes you to the British Swimming Rankings Database, so that you can see how you are ranked in the Country, in the SE East Region or in SE Hertfordshire. These awards are achieved in accordance with the SE Scheme. Swimmers who achieve the times set out below either in a competition or in an organised time trial are entitled to purchase the stroke awards. 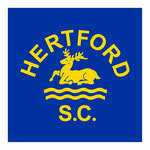 If you have achieved the QT & wish to purchase your award, please email kit@hertfordsc.co.uk. For a summary of Performance (Speed) Award qualifying times (QT’s) for metric short and long course pool distances most relevant to our swimmers please click here. For more information about the Swim England conditions for receiving these Awards and to include the QT’s for non-metric distances please click here.